When my husband and I first booked our trip to Iceland, we were a little nervous that we wouldn’t be able to find good food there. It’s not like traveling to other places in Europe which are known for their amazing pasta or baguettes. We had heard tales of puffin and whale and weren’t sure what we were going to find when we got there. To our surprise, though, almost every single place we ate was absolutely incredible. Of course, Iceland is an island so they have amazing seafood, but even the burgers and fries we had along the way were top-notch and I found myself eagerly anticipating each meal. The first place we ate when we arrived our first day in Reykjavik was a spot in the harbor district called Icelandic Fish & Chips. 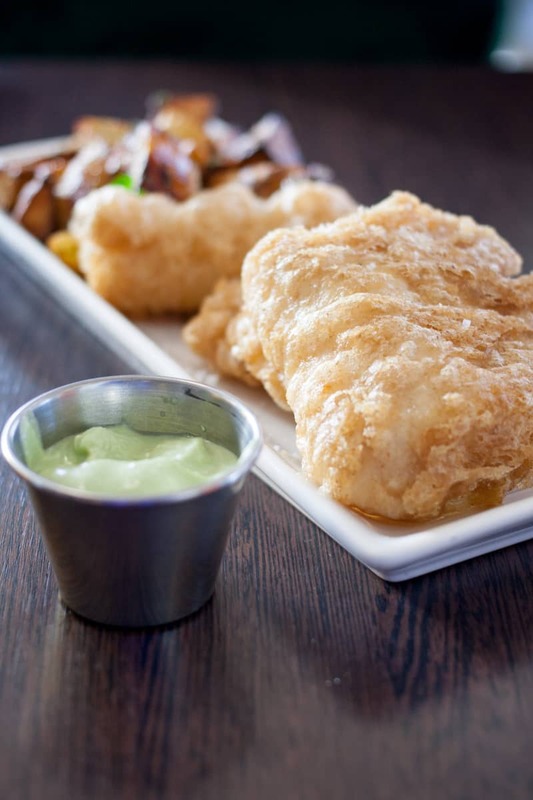 As you can imagine, they mainly serve fish & chips of different kinds, along with a few other options like a fisherman’s stew or a baked fish. 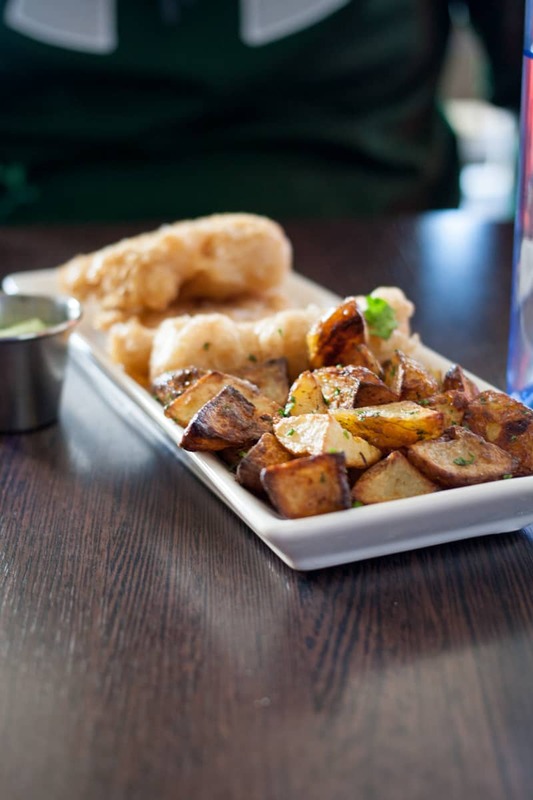 We were there for the fish & chips, though, so we ordered one plate to share of fried cod and crispy potatoes roasted in olive oil and sprinkled with parsley and sea salt. With each plate, you can also choose one of their Skyronnes dipping sauces (a flavored type of Icelandic yogurt), so we went with basil & garlic, although all of them looked amazing. 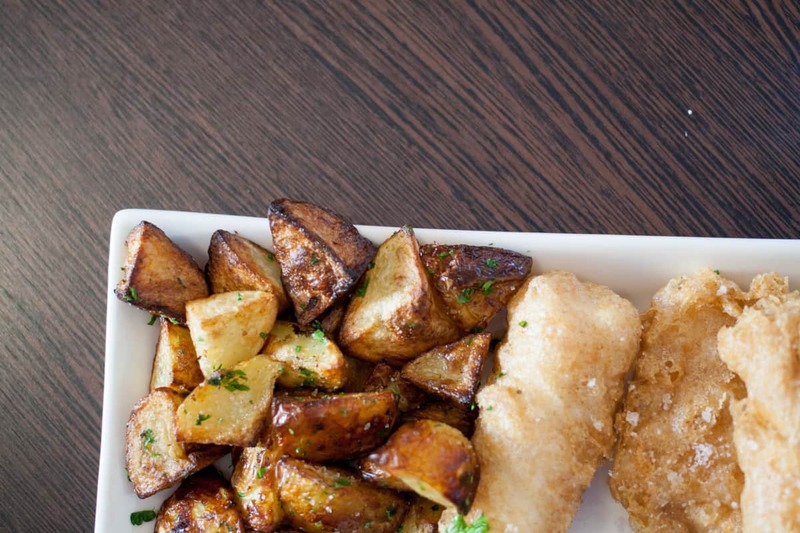 The dish comes with three large pieces of fish and a pile of potatoes, so it was plenty to share. 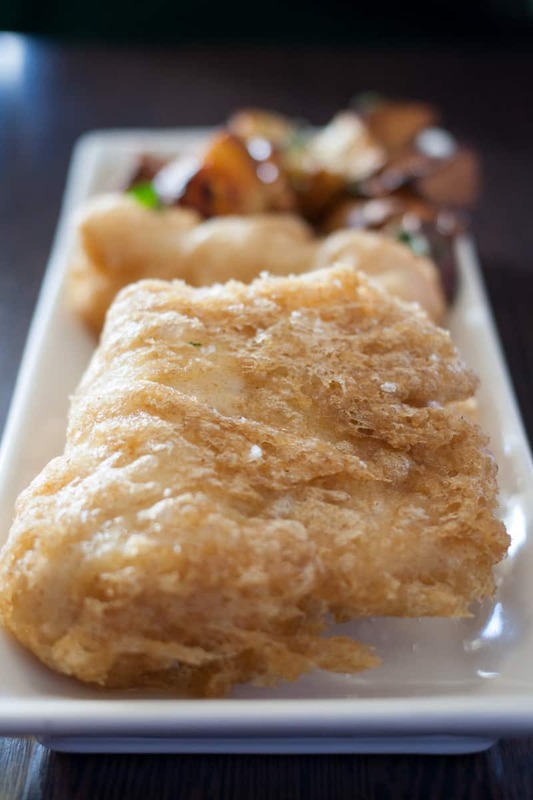 We took our first bites when it showed up and I can still taste it – the way it flaked apart and melted in my mouth, combining crispiness with the smoothness of the fish. 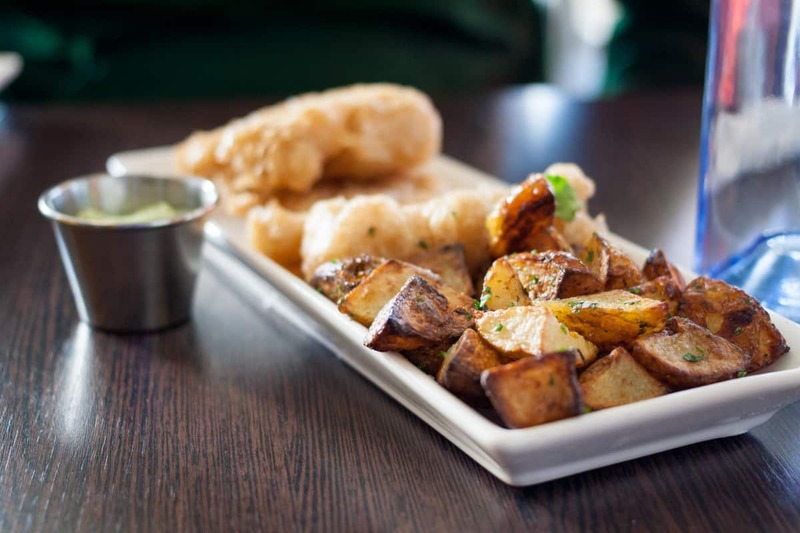 It was by far the best fish & chips I have ever had – and I’ve even had fish & chips in Europe before. Simply put, it was divine. The dipping sauce was not what we expected, which was a more oily dip with basil & garlic mixed in, but the thicker texture of the yogurt type dip was exactly what the fish needed. It added flavor without being overpowering or too strong, and I wish we could have tried additional ones (specifically the mango)! I guess it’s just one more reason to return to this beautiful country and experience lots more!